(VOVWORLD) -The Communications and Education Commission of Region 5’s Party Committee has been awarded the title “Hero of the People’s Armed Forces”. 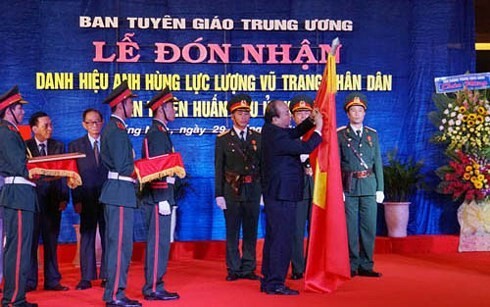 Prime Minister Nguyen Xuan Phuc confers the title “Hero of the People’s Armed Forces” on the Communications and Education Commission of Region 5’s Party Committee, July 29, 2018. Addressing a ceremony on Sunday, Politburo member Vo Van Thuong underscored the Commission’s essential role in sharpening soldiers’ political awareness and inspiring people’s revolutionary ideology. 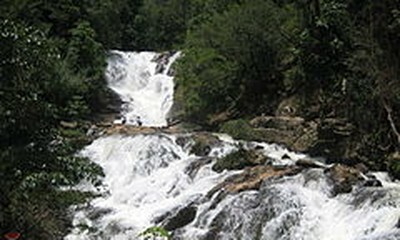 Region 5 consists of several central and Central Highlands provinces. “The development of the communications and education sector is mainly attributed to the support of the Party, State, President HCM city and the people. We’ll continue to do our utmost to deserve their trust and support,” said Mr. Thuong, who is also Head of the Party Central Committee’s Communications and Education Commission.